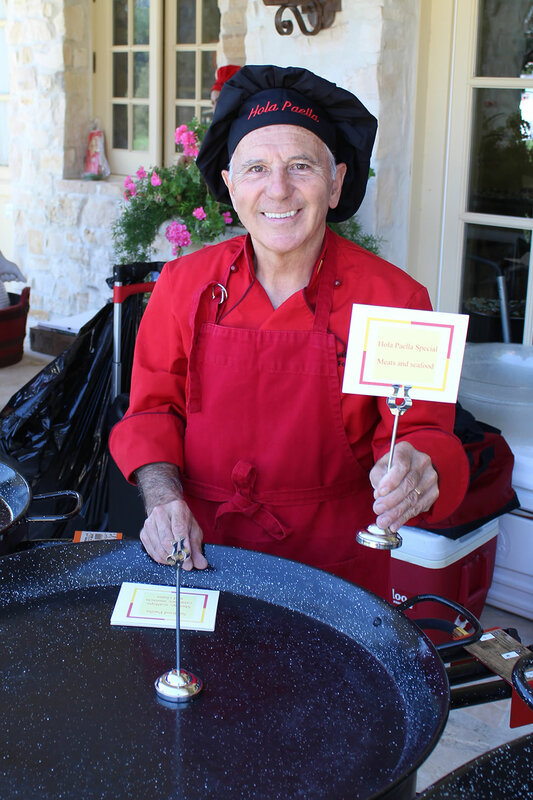 Hola Paella’s founder Fernando has frequently traveled to Spain spending countless hours investigating the success of cooking a good paella. 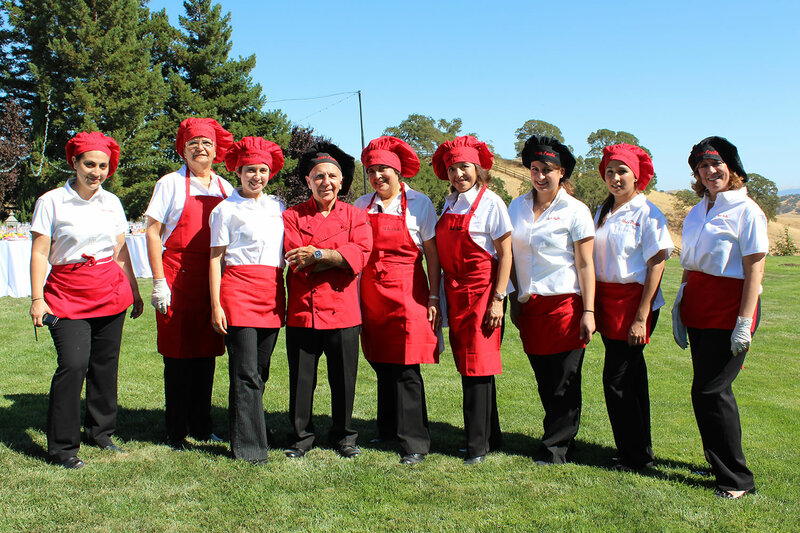 Hola Paella Catering Service was founded in 2002 by Chef Fernando after retiring from United Airlines after 36 years of service as a power plant engineer. He was born in Peru and, like paella, is a man of mixed nationalities. Fernando’s grandfather was from Spain and his paternal grandfather from France. Cooking has always been of great importance in the Craff family. 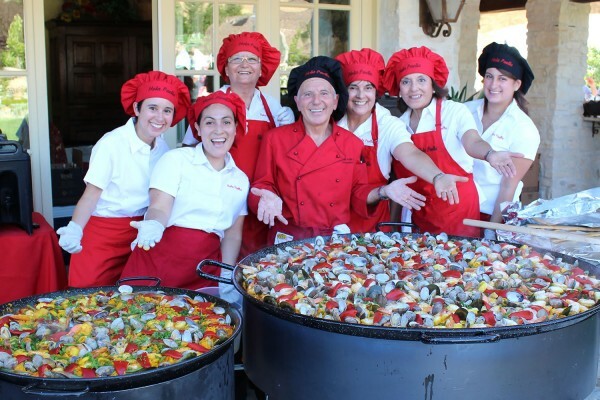 Fernando’s love of cooking and traveling has taken him to Spain on multiple occasions and this is where his interest in tha paella, a staple in Valencian cuisine, was born. He has invested countless hours in the kitchen in his quest for the creation of the most delicious paella which he truly has mastered. Together Fernando and his team come together to share his gift and put on a show that you and your guests will never forget! We are certified by the Department of Environmental Health. All the food we use is fresh and organic whenever possible. We prep with the highest standards in food safety. Our entire portable operation travels within a 100 mile radius from Cupertino to your event’s location of choice. We set everything up in our designated area, prepare the appetizers and get everything ready to start the cooking process. The rustic paella(s) is then prepared before your eyes with flawless execution by Chef Fernando himself. We offer complete satisfaction, delicious food and friendly service so you can thoroughly enjoy your unforgetable event. 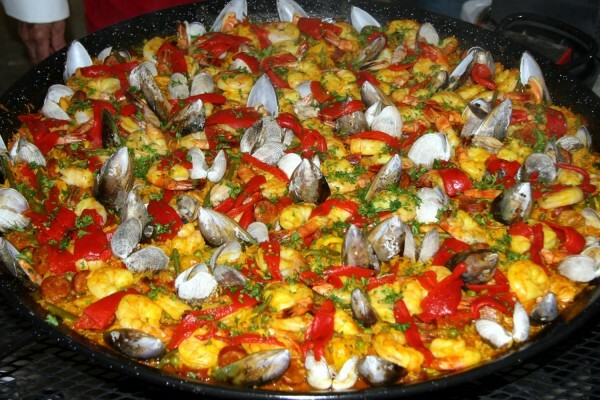 Paella is one of Spain’s most delicious, colorful and famous dishes that can be modified to include any ingredients you desire. The paella is one of Spain's most delicious, colorful and famous dishes and it can be modified to include any ingredients you desire. South of Valencia on the East Mediterranean coast, lies Albufera, an inland lake where the Moors introduced the cultivation of rice. This is where Spain's famous paella dish was born. According to history, it was in the first half of the 19th century when farmers from the area began to cook rice with wild rabbit. Today, classical paella includes a combination of seafood and meats. 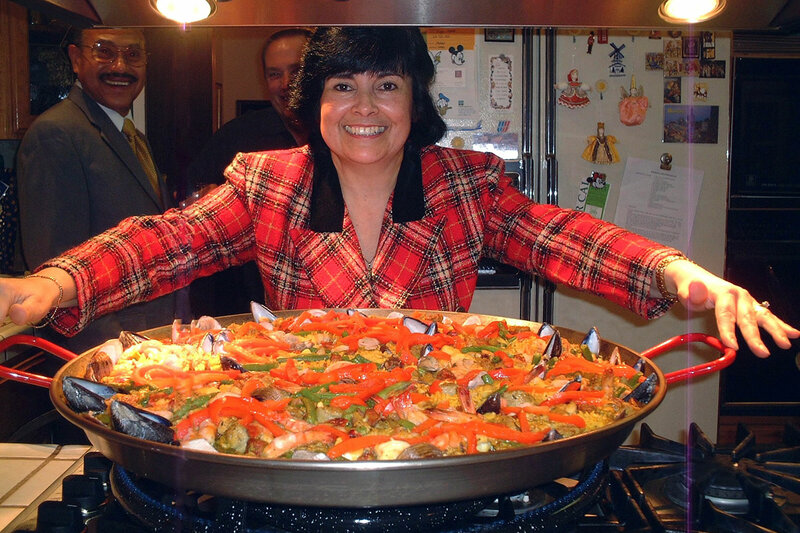 A great paella is born from a combination of top quality ingredients and skill in its preparation.